For the first time, the Monster High ghouls enter a mysterious Ghost World as they follow Spectra and discover an all-spirit school. But their scary-cute student bodies are hardly welcome with the very strict Principal Revenant, and she punishes Spectra with frightful detention chains that prevent her from re-joining Monster High™. Now, it’s up to the ghouls to become ghosts themselves in order to save one of their own from disappearing forever! MONSTER HIGH: HAUNTED is available on Blu-ray Combo Pack and DVD March 24, from Universal Pictures Home Entertainment. 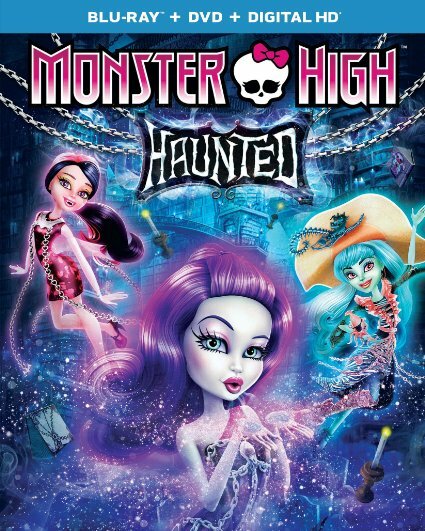 Register below to WIN Monster High: Haunted on Blu Ray & DVD!